The quick-service restaurant brand has launched a contest for all the singles in the city and the winner gets to celebrate a 'warm, romantic and crispy' February 14. New Delhi: Whether you are single, committed and looking for a better bae or just want to eat some free chicken, meet 'Bucket Bae'. According to KFC, Bucket Bae is the one true love that follows you unconditionally and shares your love for finger-licking good chicken. "You are sure to fall in love with Bae too, after all, beauty lies in the eye of the bucket holder," reads their statement. Here's a sneak-peek at the bucket of everyone's dreams, apparently. 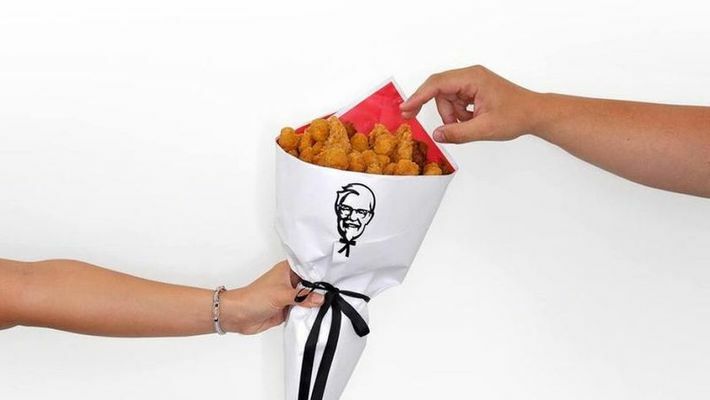 If you want to participate in this contest just upload your unique declaration of love for ‘KFC Bucket Bae’ on KFC’s Facebook and Instagram profiles or just swipe right on Bucket Bae’s online profile, if you spot it on a dating app. If you impress Bae, well it could be yours. Five winners who manage to woo Bae will win KFC’s golden fried, crispy chicken bucket but also walk into the sunset with Bucket Bae. Moksh Chopra, CMO, KFC India says, “There is no love like the love of chicken! And if someone (or something) that follows you around with your favourite chicken isn’t true love, then what is?"